Saint Luke Lutheran Church was once a dream. While originally it was determined that a Lutheran church was not warranted in Upper Main Line, a small group of determined community members had a dream in their hearts of a Lutheran church for their community. Through tireless efforts and prayers, they worked to demonstrate what a Lutheran church could add. 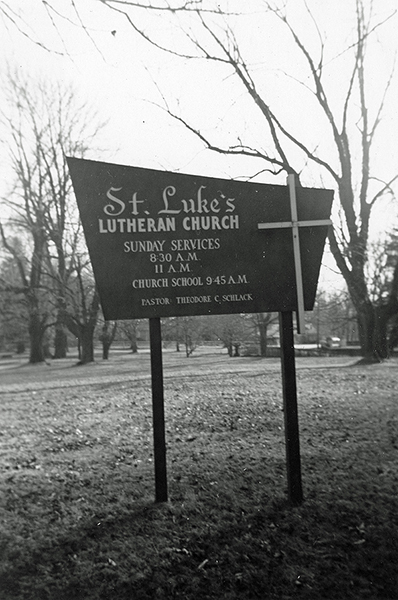 The result was the birth of Saint Luke Lutheran Church in 1954. In the early years, Saint Luke experienced exponential growth and quickly outgrew its facilities. No longer could the Devereux School, the Red Cross Building, or the Berwyn Fire Hall contain the ever growing congregation. Saint Luke knew it was time for a more permanent home. Land at the southeast corner of Conestoga and Valley Forge Roads, in Devon, was purchased and the church was built and then dedicated on December 7, 1958. After many vibrant years of ministry, a devastating fire occurred in late 2003. As part of a rebuilding program, Saint Luke not only restored the damage, but enhanced the ground with the Memorial Garden, a common resting place for its deceased members and their families. So much good work has occurred and is occurring at Saint Luke Lutheran Church, and there is so much more to do. This is just the beginning.